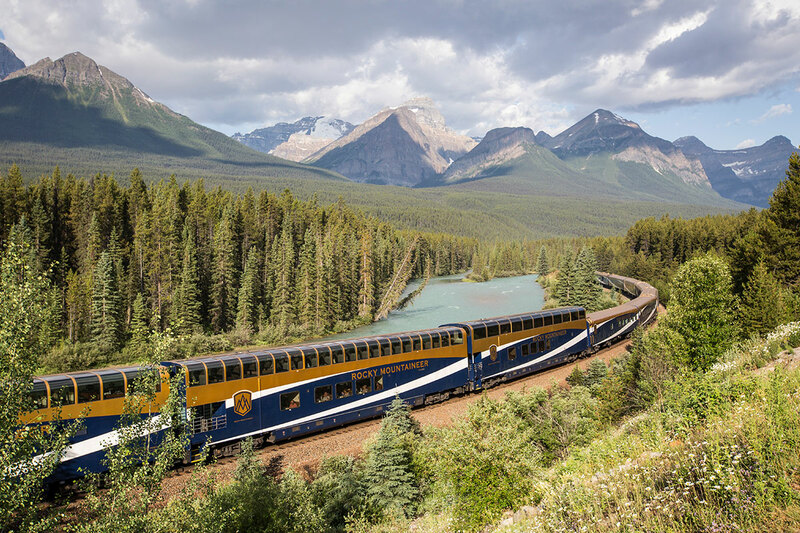 Take in some of Canada and Alaska’s most striking natural beauty on a 21 day Grand Rockies tour with Rocky Mountaineer. 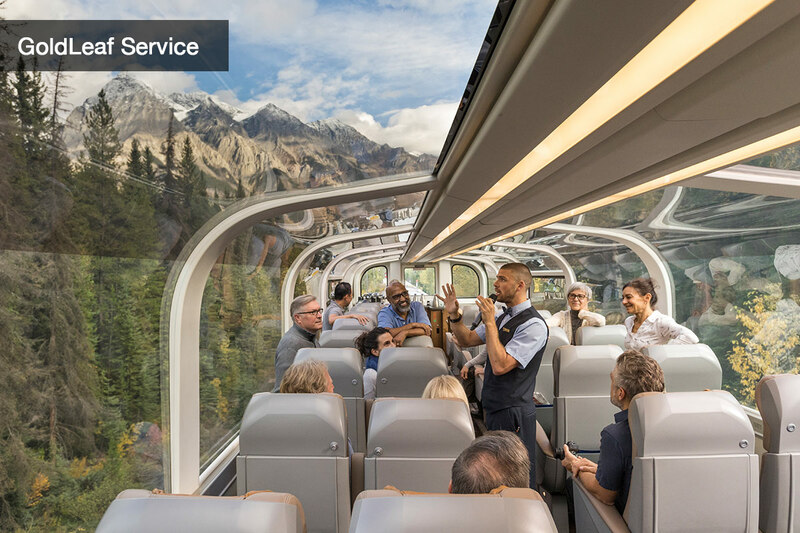 Upon landing in Vancouver you immediately set foot onboard one of Canada’s – and arguably the world’s – most iconic railway passages: Rocky Mountaineer. 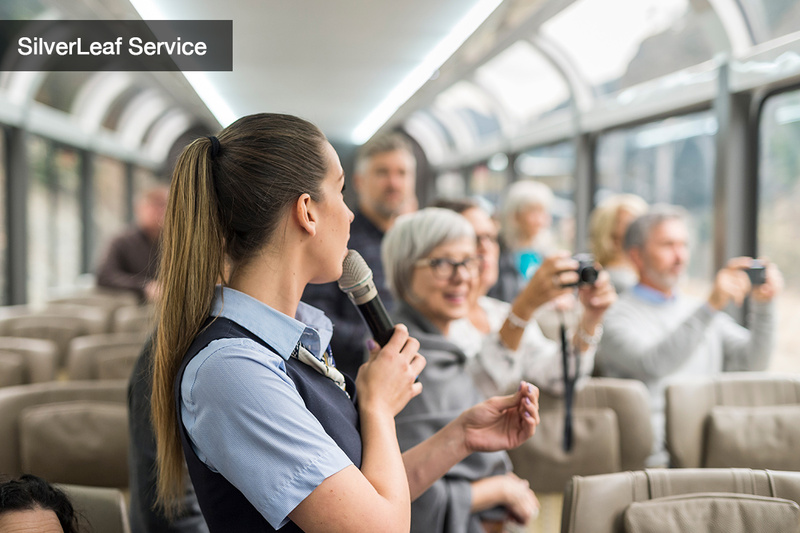 You will be collected from the hotel, whisked to the station and welcomed on-board in either your SilverLeaf or GoldLeaf Service coach. 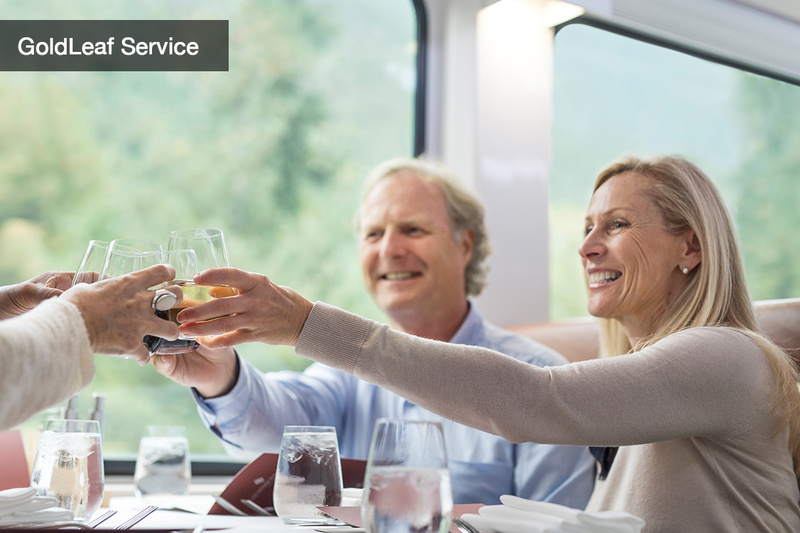 Every whim is catered for while you are on the train, from meals and snacks to beverages and insight about the area from your on-board Hosts. 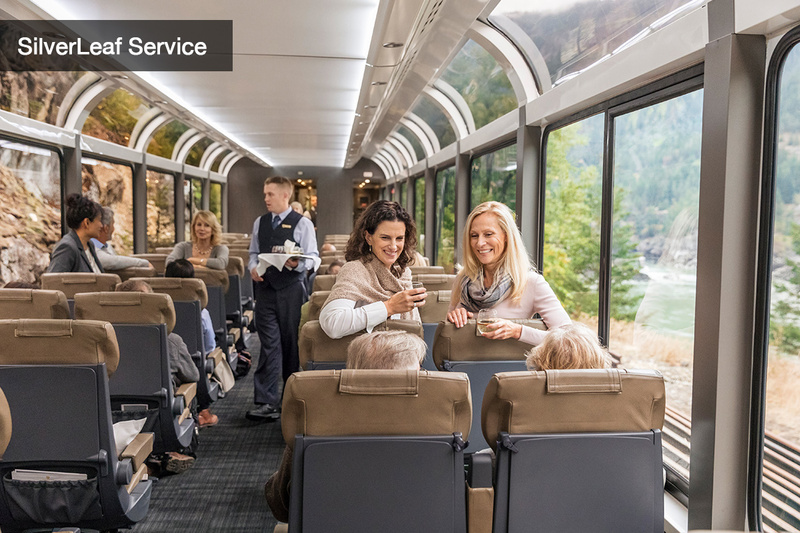 Travel towards Kamloops on the first leg of your Rocky Mountaineer experience and make use of the panoramic glass windows to take in a landscape comprised of Fraser River valley, Coast and Cascade mountains, and the Thompson River. 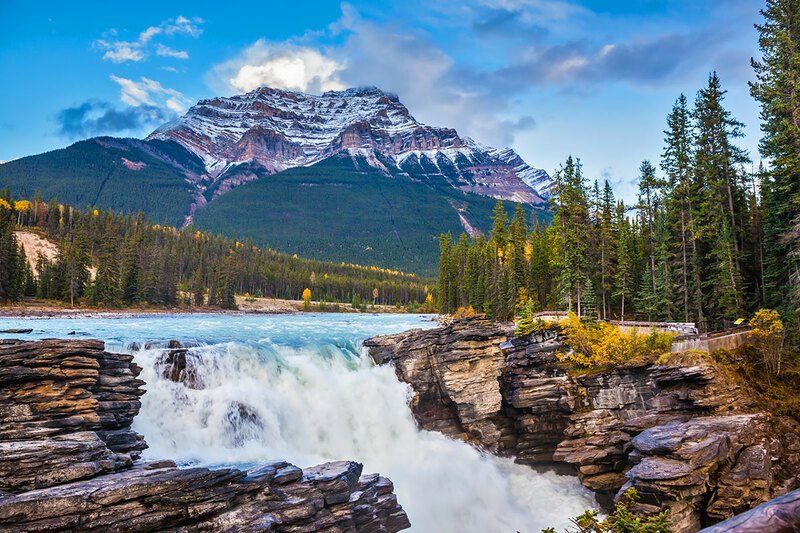 The following day takes you to Jasper and some of the sights to see along the way include Mount Robson, Pyramid Falls and Yellowhead Pass. Enjoy a day of independent sightseeing in Jasper before the group begins its return travel to Vancouver. 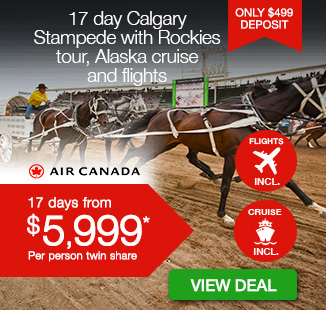 This route sees you spend time on the Columbia Icefields, on the shores of glittering Lake Louise, in picture-perfect Banff and through Yoho and Glacier National Parks, before winding up in Whistler for an overnight stay. 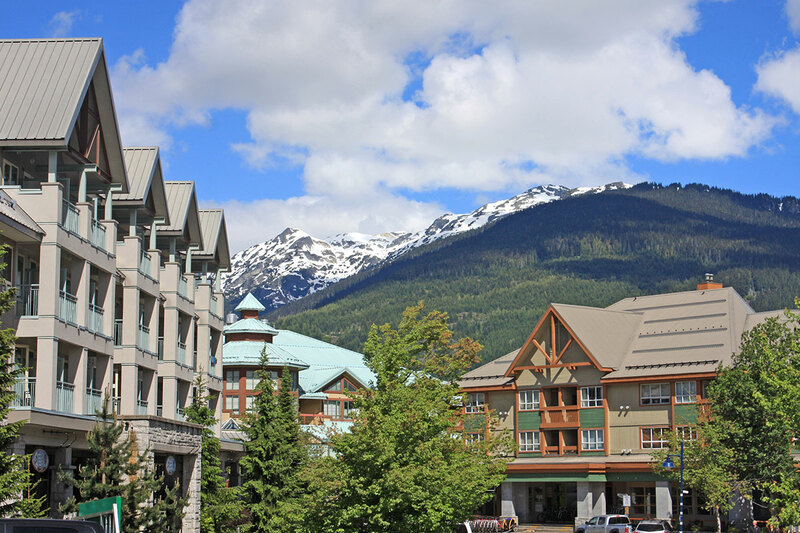 Check in to the iconic Fairmont Chateau Whistler and head out to discover this beloved resort town. Discover the bounty of sights and treasures in Vancouver on an orientation tour and then hop across the Georgia Strait to Victoria for an excursion to The Butchart Gardens. Cross the border into the United States to reach Seattle and the embarkation point for the cruise of the Inside Passage. 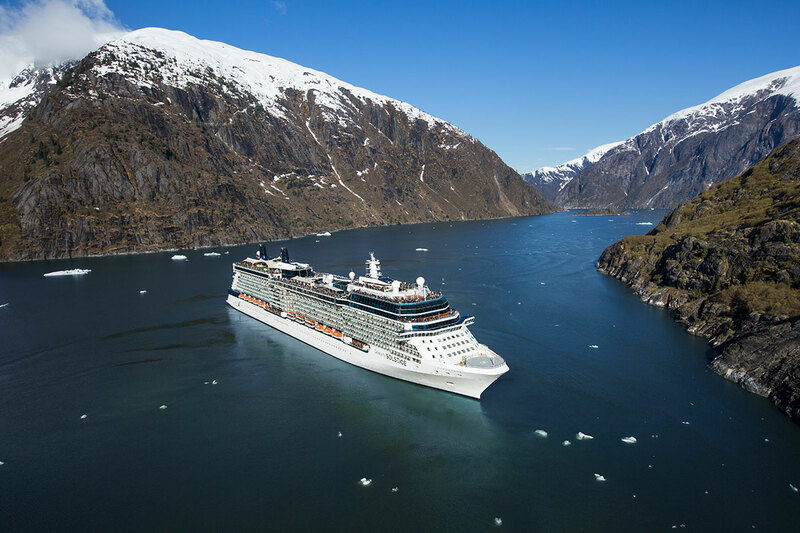 The award-winning Celebrity Solstice® is your home for the duration of the cruise, and takes you to ports including Ketchikan, Juneau and Skagway; past Endicott Arm Fjord and Dawes Glacier; and along some truly spectacular and untouched scenery. There are also some days spent entirely at sea – perfect opportunity for making use of the Celebrity Solstice’s exemplary facilities such as on-board Canyon Ranch® Spa, fitness centre and various eateries. Some extra time in Victoria and a city tour of Seattle upon disembarkation mark the conclusion of your unforgettable trip in Canada and Alaska. 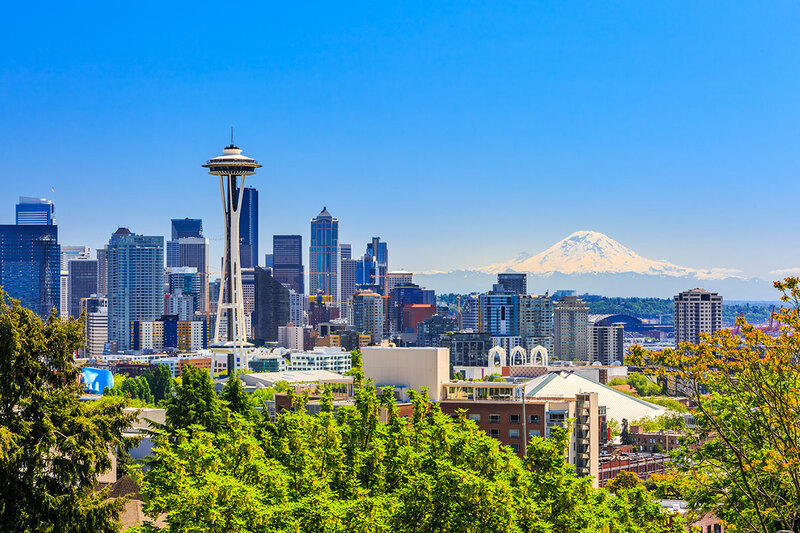 Travellers eager to see more of Emerald City can extend the trip to include 3 additional nights in Seattle, to use for sightseeing and exploration at your own pace. 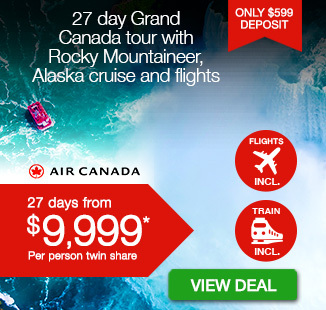 Fly out of Australia today, headed to Canada to begin your incredible 21 day Grand Canadian Rockies tour. A transfer will take you to the Vancouver hotel upon arrival. The rest of the day is at your leisure. Please note: if you have purchased the Tour Only option, at the appropriate time make your own way to the hotel. It is an early start as the group makes for Rocky Mountaineer train station. 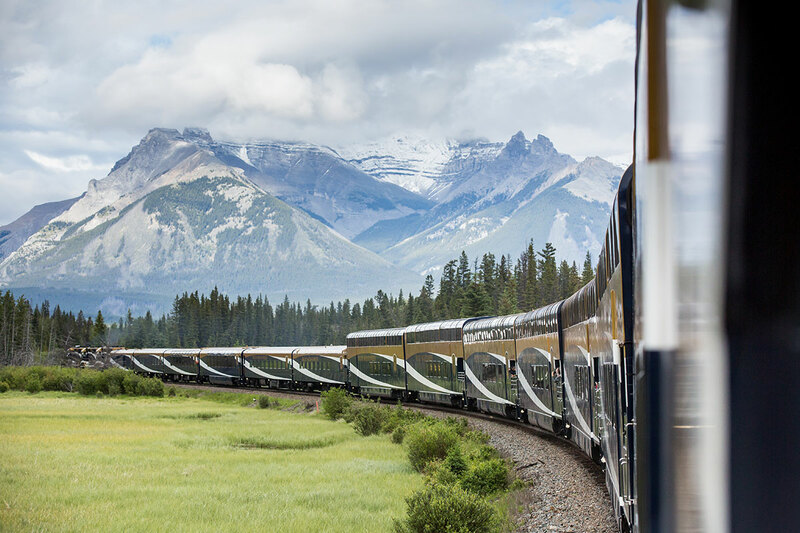 Be welcomed aboard this legendary rail passage and settle in as the train begins its journey into the heart of British Columbia. 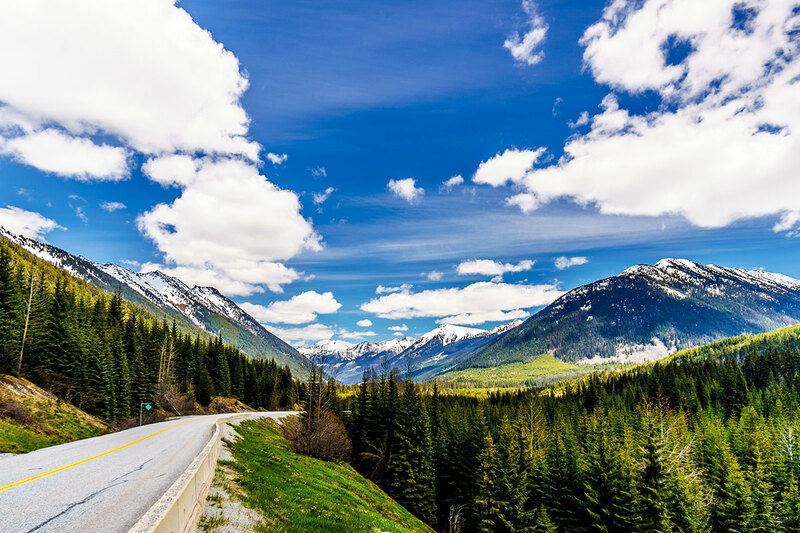 Today’s destination is Kamloops and, on the voyage, you will have a front-row seat to some truly spectacular scenery, from Hell’s Gate in the Fraser Canyon to the waters of Thompson River and the peaks of the Coast and Cascade Mountains. Rocky Mountaineer team will transfer you to the Kamloops accommodation upon arrival. 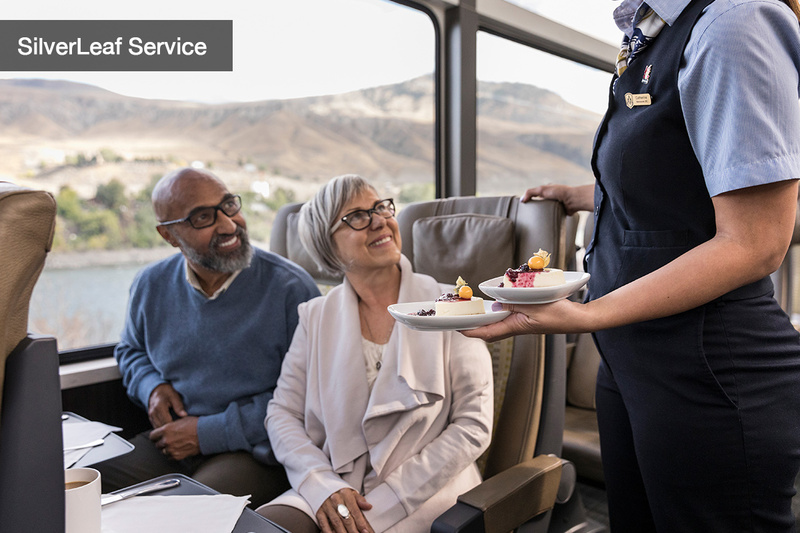 You will be picked up from the hotel by Rocky Mountaineer staff, and then enjoy breakfast aboard the train as the journey towards Jasper gets underway. 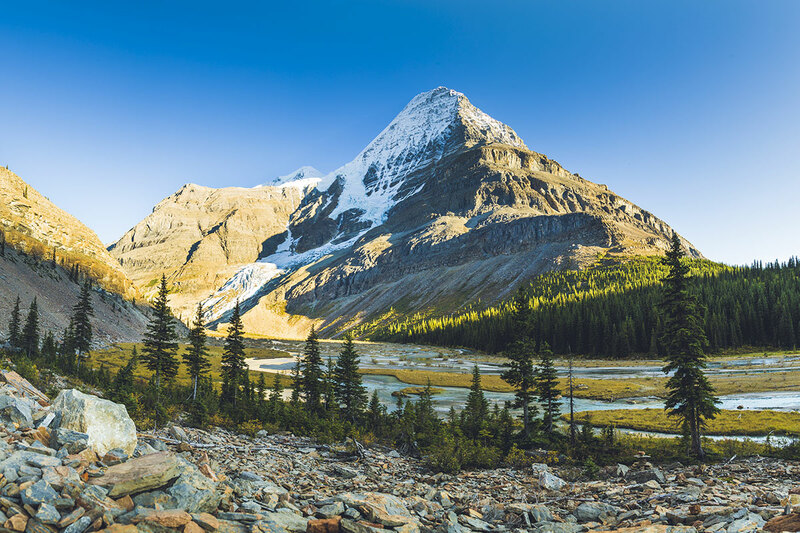 Cross into the province of Alberta and watch out for the peak of Mount Robson, the highest point in the Canadian Rockies, as you travel. Other sights to look out for today are Pyramid Falls, Yellowhead Pass and Jasper National Park. Disembark Rocky Mountaineer and take the transfer to the hotel for an overnight stay. You have today as free time. Jasper is an enchanting mountain town, beloved for its unpretentious atmosphere and incredible surrounding wilderness. Learn about Jasper’s past as a bustling railway town while here. 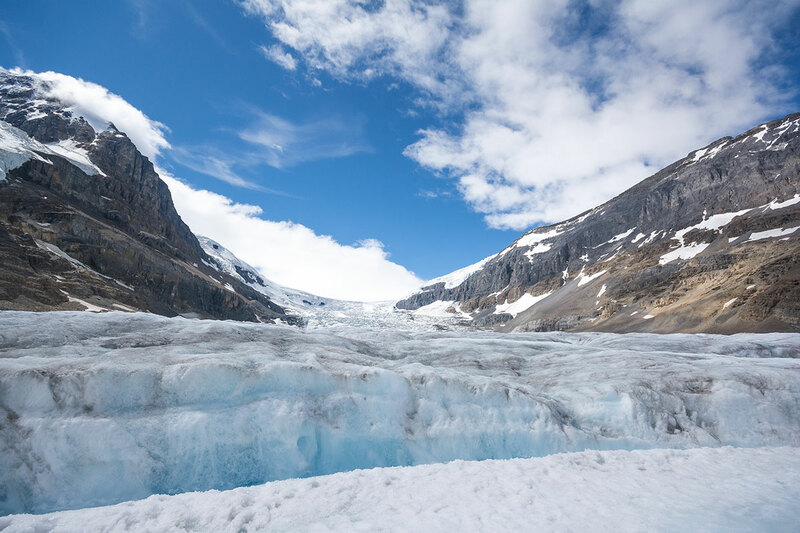 Head out onto the Athabasca Glacier aboard the Ice Explorer, a specially-designed all-terrain vehicle that navigates the surface of this frozen landscape. Led by an insightful driver-guide, this excursion is guaranteed to impart a wealth of knowledge about the environment and area. Please note this excursion must be booked prior to departure from Australia. Additional cost applies. The day is yours to explore Banff however you like. Dig into a poutine, wander the streets or venture further afield for nature pursuits. 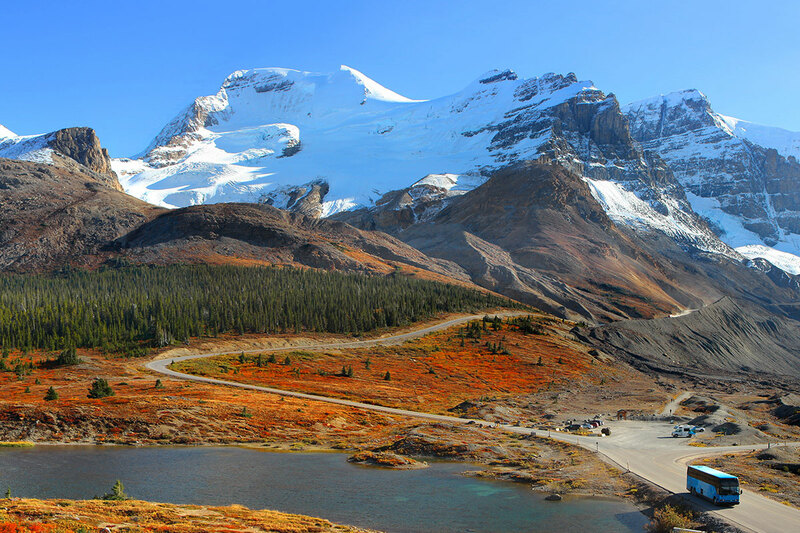 Follow the Trans-Canada Highway out of Banff and towards Yoho National Park. See Kicking Horse Pass along the way. 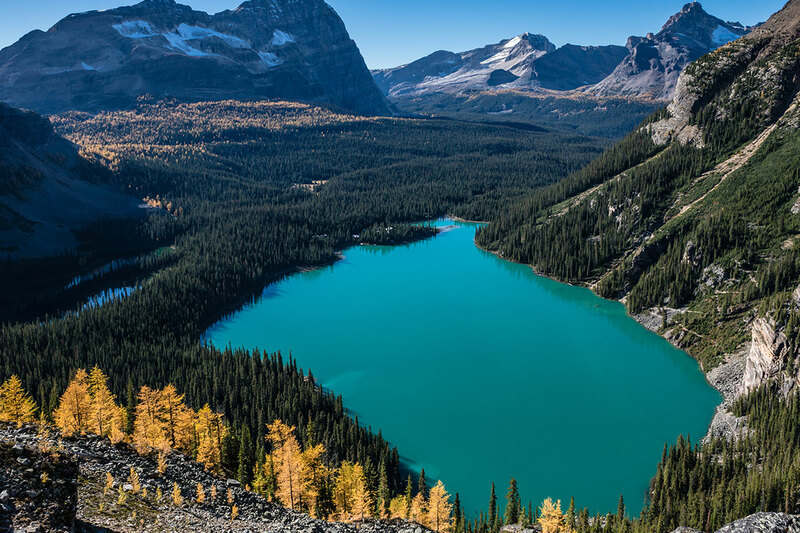 Yoho National Park is brimming with expansive glaciers, impressive waterfalls and a magnificent collection of fossils – all making it easy to understand why it makes up part of a UNESCO World Heritage Site. The next stop along the Highway is Glacier National Park where you can admire exceptional alpine scenery and centuries-old forests. Spend the night in Vernon. The destination on today’s agenda needs little introduction. Whistler is visited by more than two million people every year; for skiing and snowboarding in the winter and then mountain biking during the warmer months. Before reaching Whistler however, the group travels along the shores of Kamloops Lake to Cache Creek and then Lillooet, which was once Mile 0 of the Gold Rush Trail. Venture along Duffey Lake Road past the Coast Mountains and into the country-scape around Pemberton. You then arrive in Whistler. Be sure to take note of Whistler’s unique town design; it was engineered to accommodate the natural surrounds. Tonight’s accommodation is in the renowned Fairmont Chateau Whistler, an icon of the area. You have this morning as free time to wander around Whistler and explore however you like. The group departs for Vancouver in the early afternoon, travelling along Highway 99 between Squamish and Horseshoe Bay– a particularly scenic stretch of road nestled between mountains and ocean. There is a stop at Shannon Falls enroute to Vancouver. Join an orientation tour of the city upon arrival in Vancouver, a metropolis frequently listed as one of world’s most liveable cities. This tour sees you tick off Stanley Park, with its Totem Poles and Prospect Point, as well as English Bay, Canada Place and the nearby waterfront. It is then onto Chinatown and Gastown, before concluding on Granville Island. 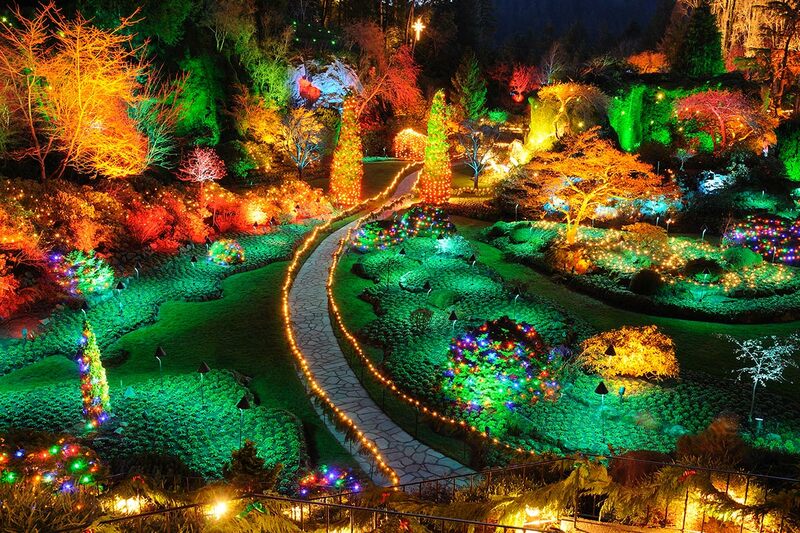 A full-day excursion to Victoria and the Butchart Gardens is on the cards for today. Catch a ride from the Tsawwassen ferry terminal for the 90-minute crossing of the Georgia Strait. Along the way you may see bald eagles, seals and perhaps even an orca whale! 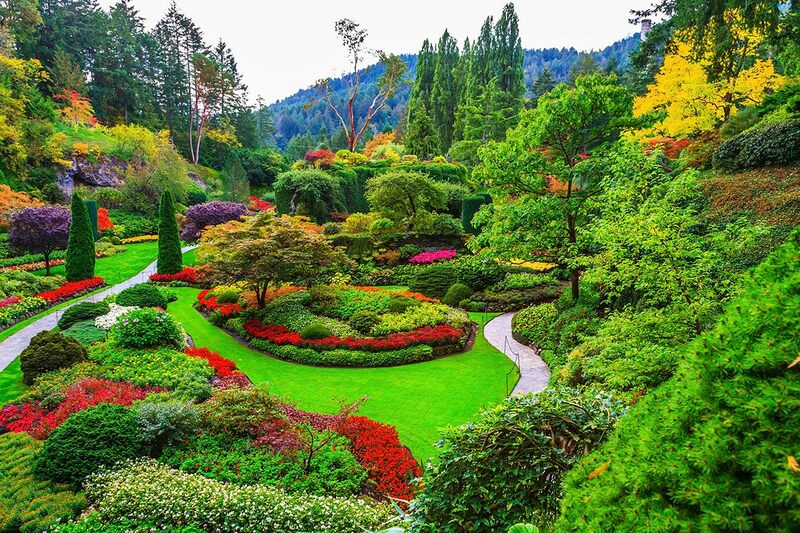 Meander around the famous Butchart Gardens upon arrival in Victoria and then head downtown for a city sightseeing tour that takes in Beacon Hill Park, Bastion Square, Parliament Buildings, Chinatown, Inner Harbour and the Empress Hotel. There is some time for shopping and independent exploration before returning to Vancouver in the late afternoon. Following breakfast and check-out, the group jumps the border from Canada into the United States and to Seattle. Visit the Boeing factory and then have the remainder of the day at leisure. 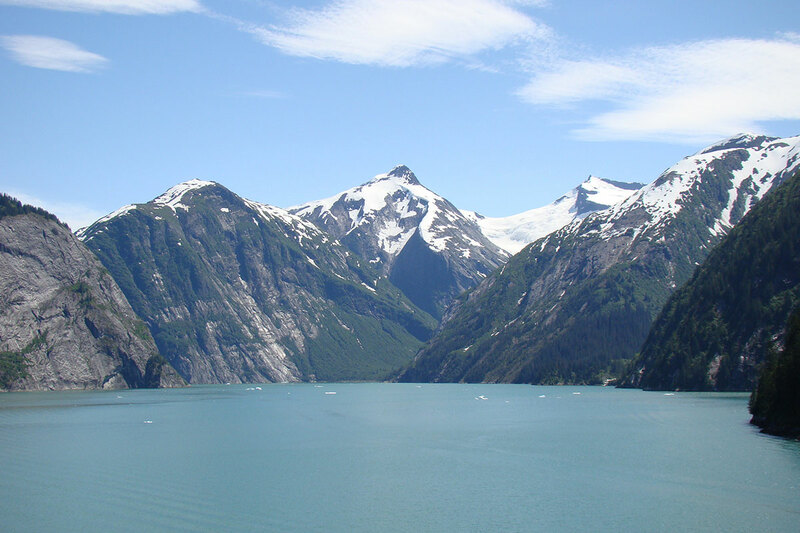 It is time to hit the high seas and embark on your luxury cruise experience of the Inside Passage. Unpack your belongings and settle into your stateroom, then begin exploring the Celebrity Solstice, the five-star ship that will be your home for the next 7 nights. Today is spent at sea as the Celebrity Solstice navigates the waters of the Inside Passage. Use today to take advantage of the ship’s deluxe facilities, such as day spa, fitness centre, swimming pool, performance space and sundeck. Make port in Ketchikan today. This waterfront city has earned a reputation for its exquisite salmon, and it is also the ancestral home of the Tlingit people. Evidence of this heritage can be seen in form of totem poles scattered around the city. Travellers may take up a canoe or nature trail excursion. Cruise through Endicott Arm Fjord today, a 30-mile-long stretch of pristine water flanked by granite mountains, lush valleys and cascading waterfalls. Other natural sights in the area may include floating icebergs and groups of harbor seals. Over on the shore, look out for brown bears, bald eagles, deer and moose. Waiting for you at the end of the fjord is Dawes Glacier. This striking sight comes in at more than 600-feet tall and a half-mile wide, and it is known for its calving activity – meaning that seeing (and hearing) huge icebergs break off is commonplace. Tip: due to the wind levels in the area, it is wise to pack some wind-resistant layers. The Celebrity Solstice then docks in Juneau where passengers may choose to take a glacial dogsled adventure via helicopter (additional cost applies). 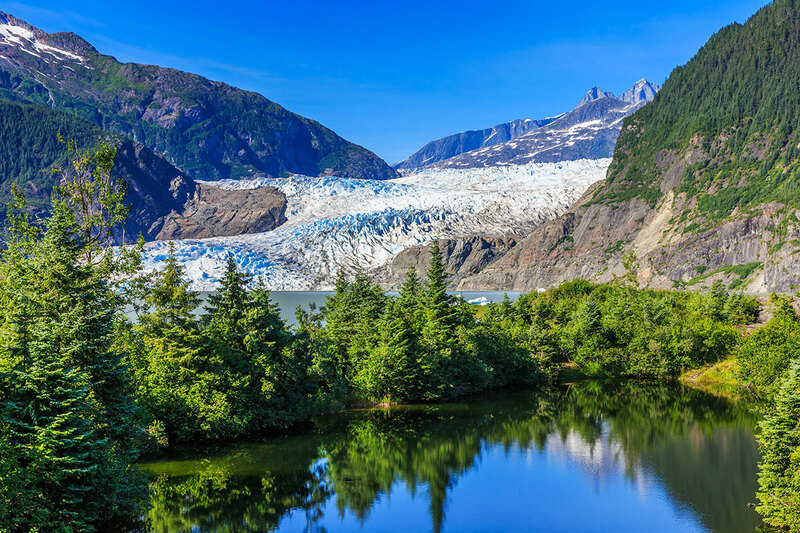 Otherwise, travellers can simply explore the Alaskan capital on foot or head to the Mendenhall Glacier for a float trip. 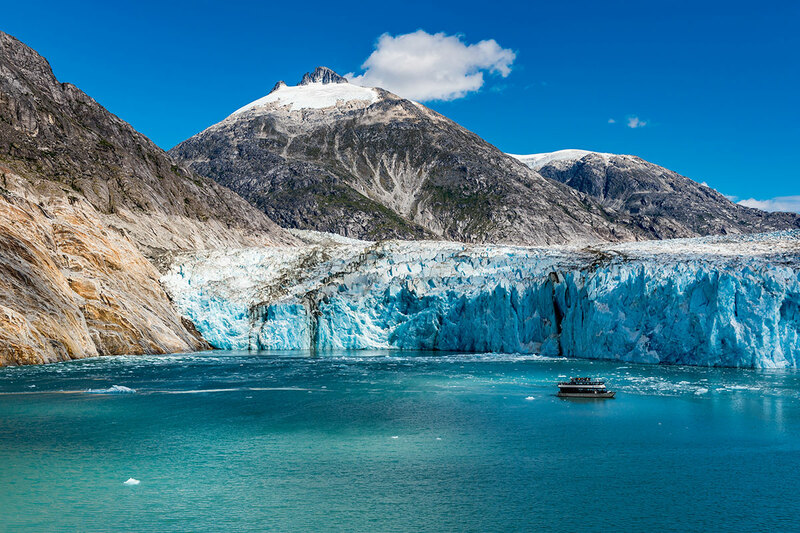 Spend time in Skagway, a former epicentre of the Klondike Gold Rush. Admire the restored 19th-century buildings and learn about the historic railway. 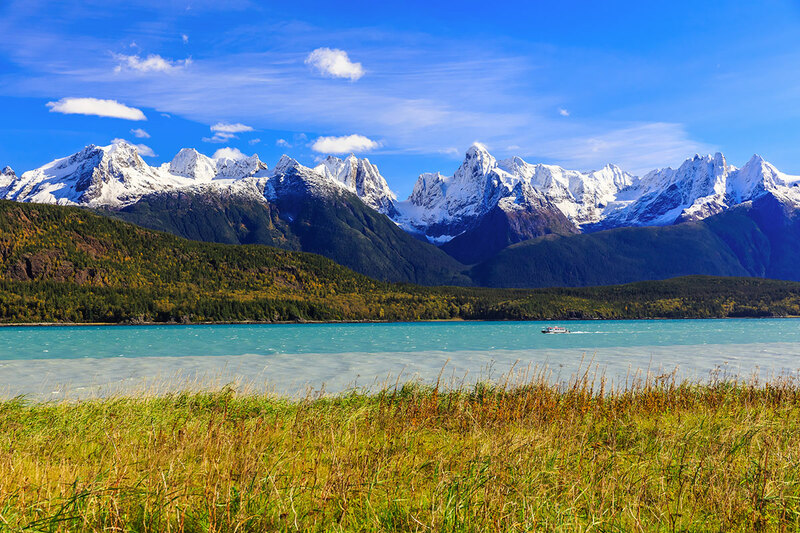 Opt to join an excursion into Klondike Gold Rush National Park Museum to uncover more about the region’s past; to admire neighbouring mountains and to get close to the 1898 trail that fortune seekers once traversed on foot. Vintage locomotives travel the White Pass and Yukon Route Railroad. Return to the ship in time for the cruise to depart Skagway and continue into the more sheltered Alaska Inside Passage. Scan the waters for whales and sea lions as you cruise past fjords and protected bays. Explore Victoria, the capital of British Columbia and a former British colony. Much of Victoria’s colonial architecture remains and is sure to appeal to history buffs. Take a stroll through the manicured English gardens or sit down to a brew at a local coffee bar. The Celebrity Solstice makes its final port back in Seattle where you will disembark. Join a short panoramic city tour of Seattle before heading to the airport. The tour encompasses the Space Needle, Pioneer Square, the houses at Lake Washington, and Lake Union. 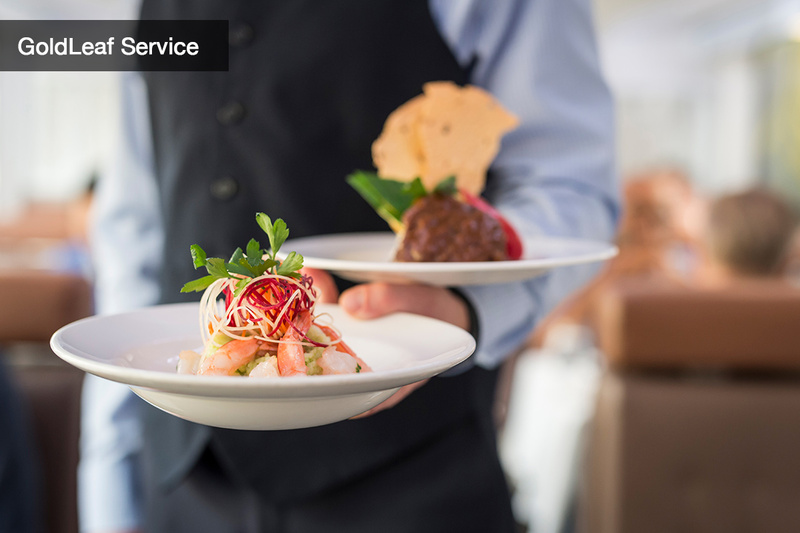 A transfer takes you to the airport in time for the return flight to Australia. Please note: Time spent and places visited during the Seattle city tour may differ due to flight departure requirements. The entire group will be transferred to the airport together and will need to arrive in-time for the first flight departure. Please note: If you have purchased the Tour Only option, at the appropriate time make your own way from the Cruise Terminal to your next travel arrangements. Airport transfers: Arrival and departure transfers are based on one group transfer. The entire group will be transferred to the airport together and will need to arrive in time for the first flight departure. Tour Only: To purchase this tour without the international flights, please click here. Please note, all airport transfers (if applicable) will be forfeited. 3 nights at leisure in Seattle staying at Gour Downtown Seattle including breakfast daily – $699 per person twin share. Please note, no airport transfers will be provided if you select to extend in Seattle.